The Coorong Medical Centre has three dedicated doctors who provide medical services to the Coorong and Upper South East. 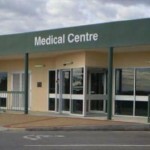 The clinic is situated adjacent the Meningie hospital, and a number of specialists visit regularly. Medical services are provided to four communities across 4500 square kilometres. Clinics are held at Meningie, Coonalpyn, and Tintinara.